Pressenda is considered the qualitative heart of the Castelletto cru. It is located on the western slope of the township of Monforte d’Alba. Located on the border of Diano Sandstone and the Lequio Formation. The Diano Sandstone is composed of large bands of yellow sand with numerous layers of Langhe Stone; layers of marl interspersed with sand are rare. The terrain was formed when powerful marine landslides carried coastal deposits until the depths of the basin. They have interesting fossils that indicate its seabed origins. Analyses draw attention to sandy terrain with a high percentage of loam and limestone. The granulometric index (ratio of sand / Loam + Clay) indicates a soil structure created from very coarse roots, thus giving the terrain low amounts of sand compared to loam and clay. 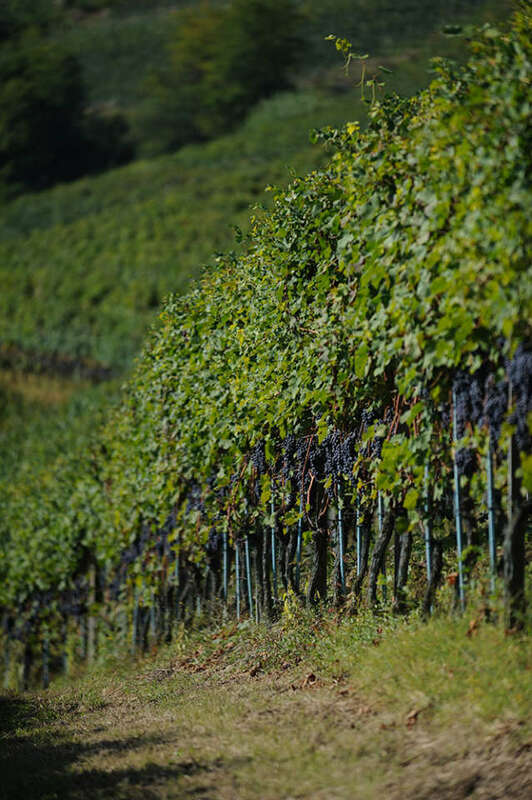 The terrain is light in color, which gives wines made from nebbiolo cultivated in its soil great structure, power, aromas, tannins, and longevity.